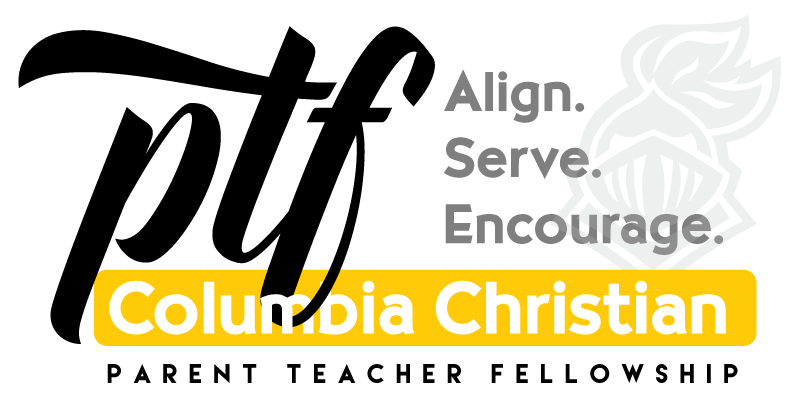 Columbia’s Parent Teacher Fellowship (PTF) encourages fellowship within our community by serving as a positive facilitator of prayer, relationships, events, and communication between family and school. The Parent Teacher Fellowship (PTF) will hold school-wide meetings on a monthly basis to discuss upcoming events and corresponding volunteer needs. These meetings will serve as an opportunity for parents to gather information, provide creative input, and plan for distribution among the school community. These meetings will also allow interested parents to join committees necessary for event planning purposes. Meetings can be held onsite, offsite, and/or via telecommunication (to be decided by each PTF), and the PTF is encouraged to use social media (i.e. FB Groups) for frequent communication. Every family enrolled at Columbia is invited to be a member of the PTF. All PTF time qualifies for CARE hours at Columbia.Please check the school calendar for the next meeting date/time/location. For questions, please email the PTF Secretary at columbiachristianptf@gmail.com.